Phillip Zarrilli was appointed Professor of Drama in 2000. 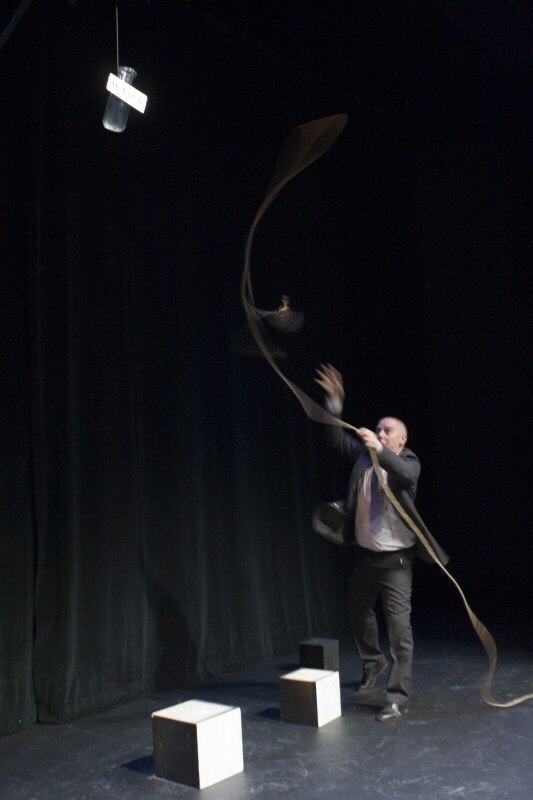 As the faculty expanded, and other professors were appointed, Zarrilli's title was altered to Professor of Performance Practice to better reflect his extensive experience and research in intercultural performance and contemporary acting practice. 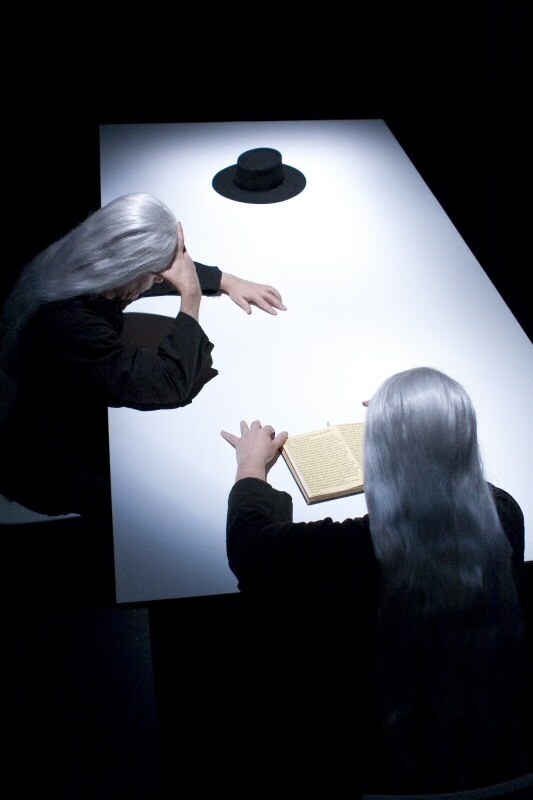 In 2013 Zarrilli became Emeritus Professor of Performance Practice. Although he will no longer be teaching Undergraduate or Masters Level modules, he will contribute to the student experience through occasional strategic events, special lectures or workshops in which he shares his current professional work within the Department. Prior to joining the faculty at Exeter, he was Professor of Theatre, Folklore, and South Asian Studies at the University of Wisconsin-Madison for many years. He has also taught at U.C.L.A., Northwestern, N.Y.U, and the University of Surrey. Zarrilli is internationally known as a director, actor, and actor trainer. At this stage in his life, he is devoting his time to his work as Artistic Director of The Llanarth Group (founded in 2000), as a professional free-lance director, to intensive teaching either at his private studio in Wales or at several well known professional actor/performer training programmes in the world, and to continuing to reflect on and write about acting and performance. 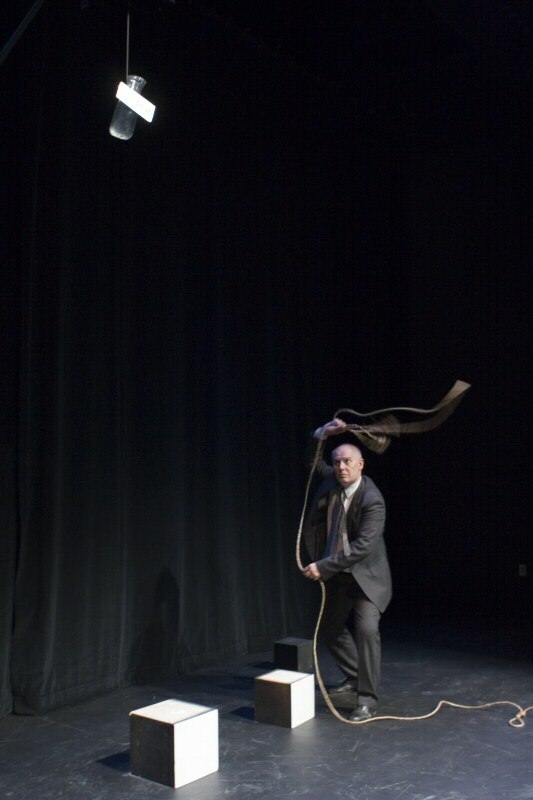 Zarrilli has developed a unique, intensive pre-performative process for training actors which combines form training selected from the practices of yoga and Asian martial arts—kalarippayattu from Kerala, India, and taiqiquan Wu style from China. He teaches this pre-performative process of training actors at his private studio in Wales, and throughout the world. 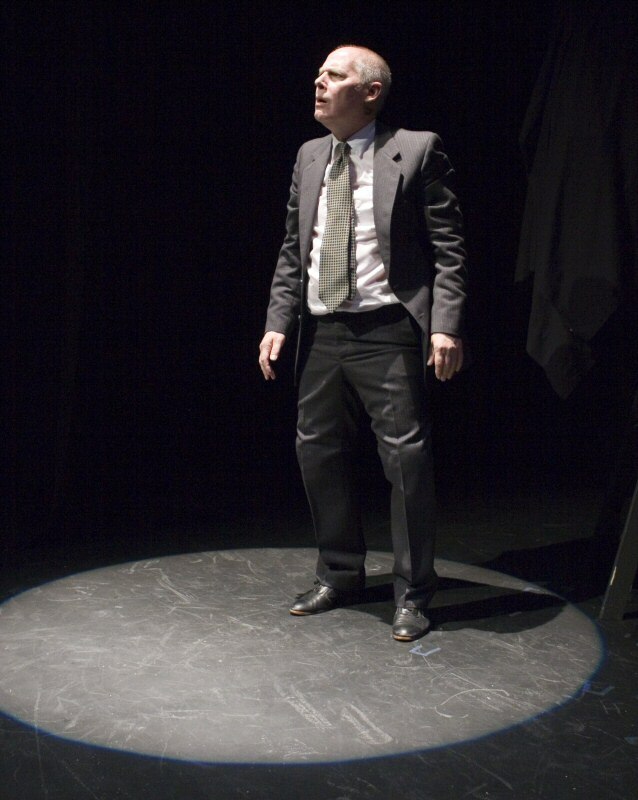 He regularly teaches and directs at the Intercultural Theatre Institute (Singapore) and the Norwegian Theatre Academy. Other recent residencies include the Lyceum (Athens/Epidavros Festival, Greece), Taipei Arts Festival, the BEYOND Intercultural dance festival/programme (ICK Amsterdam), Malta Arts Festival, Pas de Dieux Physical Theatre (Paris), Escrita na Paisagam Festival (Evora, Portugal), BITE Festival (USA), KNUA (Seoul, Korea). His book about this process of training, Psychophysical Acting: an intercultural approach after Stanislavski (Routledge Press, 2009) received the 2010 ATHE Outstanding Book of the Year Award at the ATHE convention in Los Angeles, August, 2010. The book was published in Mandarin translation as part of Zarrilli’s residency as a guest director at the 2014 Taipei Arts Festival. His training is also featured in the Practitioner series as part of the Routledge Digital Archive. When he moved to the UK in 2000, he established THE LLANARTHGROUP and the Tyn y parc CVN Kalari/Studio in West Wales. 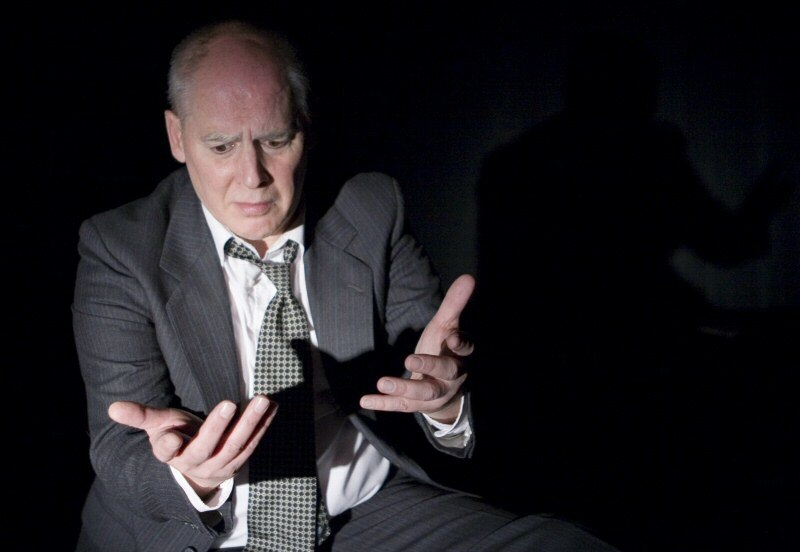 The Llanarth Group is an association of theatre/performance artists dedicated to producing international theatre of the highest quality through in-depth psychophysical training of actors from all cultures. Each production brings together a specific group of collaborators relevant to the aesthetic of a specific project. Small scale collaborations and new work are developed, rehearsed, and shared with local audiences (in preview free of charge) at the Ty’n y parc studio in West Wales. 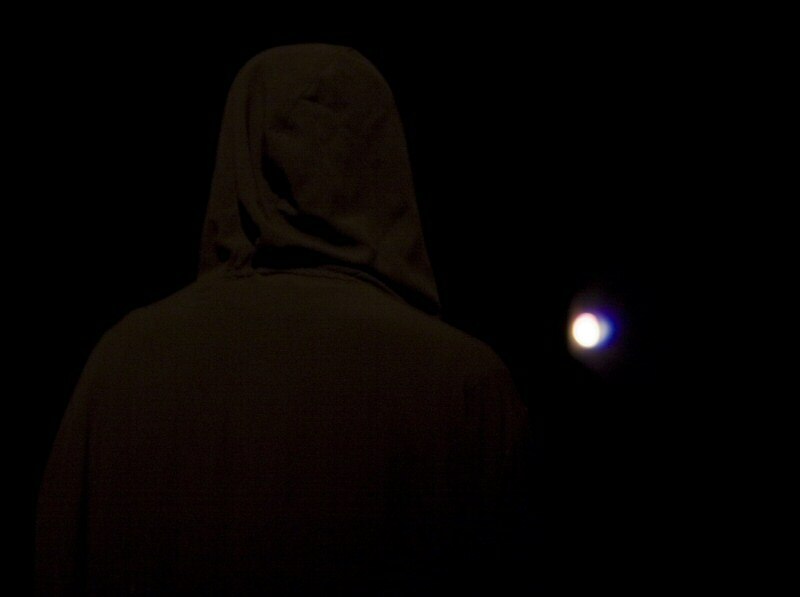 The work is created for audiences in Wales, the UK and beyond, and invites intercultural sharing of techniques, approaches to, and aesthetics of performance. Kaite O'Reilly is resident dramaturg for new work/collaborations. 2018 richard III redux OR Sara Beer [IS/NOT] Richard III, co-written with Kaite O’Reilly, Directed by Phillip Zarrilli, featuring Sara Beer. World premiere, March, 2018 and on tour in Wales, and on tour to Germany. 2018 And Suddenly I Disappear: The Singapore/UK ‘d’ Monologues by Kaite O’Reilly, Directed by Phillip Zarrilli, co-produced with Access-Pathways Productions (Singapore)—a Kaite O’Reilly Unlimited International commission. 2016: World premiere of Kaite O’Reilly’s Cosy. An Unlimited production in association with Wales Millennium Centre. Premiere: 08 March, with a tour of Wales. 2010-2016 (continuing to tour on invitation) Told by the Wind: East Asian inspired work co-created by Kaite O’Reilly, Jo Shapland, and Phillip Zarrilli with funding from Arts Council of Wales and AHRC. Previewed at Evora Festival Portugal (2009) and has toured to Berlin, Chicago, Wroclaw, and most recently in 2013 to Tokyo Theatre Babylon. (http://vimeo.com/20741448). 2010 The Evora Books: a library of hands: commissioned by Escrita na Paisagem Festival de Performance e Artes da Terra, Evora, Portugal (curated by Jose Alberto Ferreira). Co-created by Phillip Zarrilli and Kaite O’Reilly. A site-specific performance at the Evora Library Reading Room. 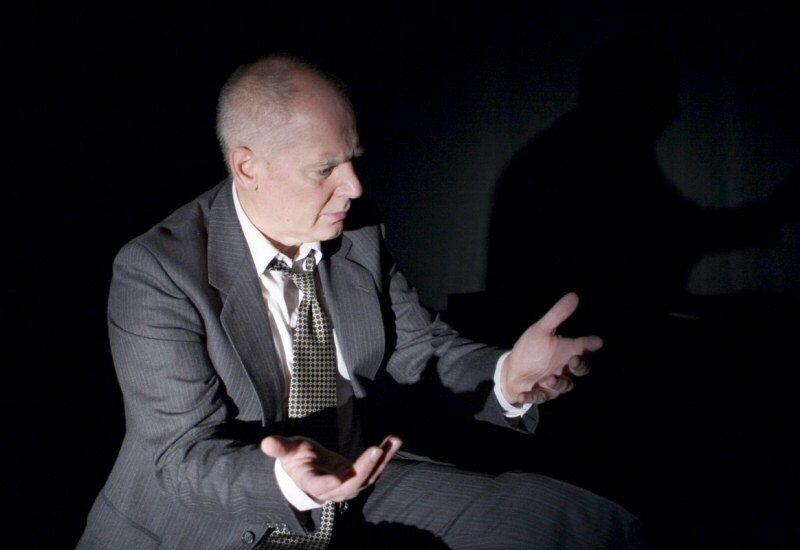 2000-2012 (continuing to tour on invitation): The Beckett Project: productions of eight of Beckett’s 20 plays from 2000. Most recently: Play+ at Cork Opera House; Happy Days and 4shorts: on invitation of the Malta Arts Festival, 2012). 2018: Beckett’s Footfalls and Play The National Theatre, Costa Rica, and in 2017 with The National Theatre Company, Costa Rica. 2015: Directed a major new production of Ota Shogo’s The Water Station with an international cast. Nordland Teater and on tour in Norway. Premiered 24 September. 2014 (and 2016) Invited Guest Director to the Taipei Arts Festival. Directed the world premiere of Kaite O’Reilly’s the 9 fridas with Mobius Strip Theatre in association with Hong Kong Rep. In October 2016 the production was re-rehearsed and performed at the Hong Kong Rep as part of the International Black Box Festival. 2010-2011: ...sweet...dry...bitter...plaintive' (Corpo-realities commission, 2010, also performed at the Manchester DECIBEL Festival, 2011). A Sankalpam production performanced at Laban Theatre, London, and on national tour throughout the UK. 2006: 4:48 Psychosis at KNUA (Seoul, Korea). 2004: The Dance of The Drunken Monk. A Sankalpam performed at the Percell Room, South Bank Centre, and on UK national tour. 1999-2008: Collaborations with bharatanatyam choreographers/dancer, Gitanjali Kolanad: Walking Naked and The Flowering Tree with Gitanjali Kolanad, 1999-2008 [premieres in Chennai, performances inToronto, UK, and world-wide]. 2004 & 2008: Directed The Water Station and Attempts on her life in Singapore at Esplanade Theatres on the Bay for TTRP/ITI. Zarrilli continues to be active as an author/researcher and regularly publishes essays and books. Forthcoming from Routledge Press: a new sole authored book with Routledge Press, '[Toward] a Phenomenology of acting'. This new book will further his considerations of acting/performance from phenomenological perspectives, also informed by dynamic systems theory of cognitive science. Forthcoming from Routledge Press: co-edited with T. Sasitharan and Anuradha Kapur, ‘Intercultural Acting and Actor/Performer Training’. An expanded version of the 2017 special issue of TDPT with the same title. 2010-2018 In 2010 Zarrilli was invited to join The International Research Institute, ‘Interweaving Performance Cultures’ at Freie Universitat, Berlin, as a Fellow. Since 2010 he has been resident in Berlin annually or bi-annually between one and three months. In 2012 he worked with the IRC on co-planning two international symposia on ‘Actor Training: Intercultural and Interdisciplinary Perspectives’—the first at ITI in Singapore in 2012, and the 2nd in Berlin later in 2013. Zarrilli also gives either keynote addresses or special lectures. In 2018-19 he will give lectures at Exeter University and Birmingham University. Principal Research Interests: Actor/performer training and practice; non-western and intercultural performance; performance theory; directing. Phenomenologies of acting/performance. playing ‘the maids’: collaborative production between The Llanarth Group (Phillip Zarrilli, director; Kaite O’Reilly dramaturg) and Theatre P’yut (Seoul), and Gaitkrash (Cork, Ireland). Arts Council of Wales Theatre Development funded work-in-progress, August-September, 2013 toward a future full performance on tour. Told by the Wind: a Llanarth Group production co-created by Kaite O’Reilly, Jo Shapland and Phillip Zarrilli with initial Arts Council of Wales and AHRC funding. Preview: Evora, Portugal (2009); premiere run Chapter Arts Centre (Cardiff, 2010); performances on tour between 2010-2013: Berlin, Wroclaw (Poland, Grotowski Institute), Chicago (Dance Center), Theatre Babylon Tokyo (with funding from WAI, DAIWA). The Echo Chamber: a Llanarth Group production co-created by Kaite O’Reilly, Peader Kirk, Ian Morgan, and Phillip Zarrilli (Arts Council of Wales funding), work-in-progress performances at Chapter Arts Centre (January, 2012). ‘…sweet…dry…bitter…plaintive…’ part of Corpo-realities commission, Sankalpam. Director: Phillip Zarrilli. UK Tour with ACE funding including performances at The Laban Centre Theatre, London, and part of decibel Festival Manchester, 2010. 4:48 Psychosis by Sarah Kane. KNUA: Seoul, Korea: new translation by Yoo Jeungsook. Attempts on her Life by Martin Crimp. Singapore premiere. Esplanade Theatre Studio: TTRP production, August-September, 2007. 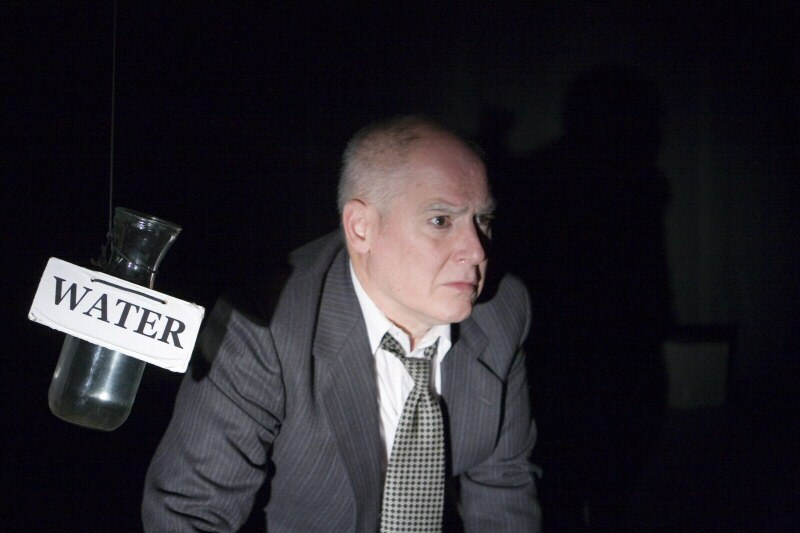 The Beckett Project (with Patricia Boyette and Peader Kirk): opened Grove Theater, Los Angeles, April 1999 followed by UK performances, April, 2000, performances at Granary Theatre (Cork, Ireland), 2004; Esplanade Theatres on the Bay, Singapore (August, 2006); Gilbert Hemsley Theatre, Madison, Wisconsin USA (September, 2006); on tour USA 2009. At the Malta Arts Festival 2012 with performances of Ohio Impromptu, Not I, Act Without Words I, Rockaby, Happy Days. An Evening of Beckett with Theatre Asou: Graz, Austria, 1999. The Flowering Tree with Gitanjali Kolanad, opened May, 2006, Toronto Canada. Currently on tour. Die Zofen with Theatre Asou, Graz, Austria, September, 2005. The Water Station by Ota Shogo. Esplanade Theatres on the Bay, Singapore, with TTRP, August, 2004. 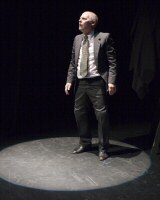 Speaking Stones with Theatre Asou, Graz, Austria, premiered 2002. 2nd staging Aflenz, 2002. English Premiere 2003 Wroclaw, Poland, sponsored by the Grotowski Centre. Walking Naked with Gitanjali Kolanad opened Museum Theatre, Chinnai, India 1999 toured extensively internationally including the U.S., Canada, Korea and the UK. principles and qualities of “quiet theatre” exemplified in Ōta Shōgo’s dramas of “living silence”. Told by the Wind follow-on funding: Following on from the original practice-led production project, ACW funding (£5,000) supported a second co-created production--The Echo Chamber (Chapter Arts Centre, 5 performances, January/February, 2012)—with co-creators Kaite O’Reilly, Ian Morgan, and Peader Kirk. Continuing this exploration of East-Asian aesthetic principles is a third planned exchange/collaboration taking place between 2013-2015. Wales Arts International and DAIWA have provided funding totaling £10,500 for an initial exchange/interaction between Phillip Zarrilli and Okamura Yojiro, Artistic Director, AMI Theatre (Tokyo) which will include performances of Told by the Wind in Tokyo, performances by AMI theatre, exchange of work techniques, and beginning work on collaboration toward a future production in 2014-15. This future production will be the third performance in the ‘East-Asia inspired’ trilogy of performances that began with Told by the Wind. 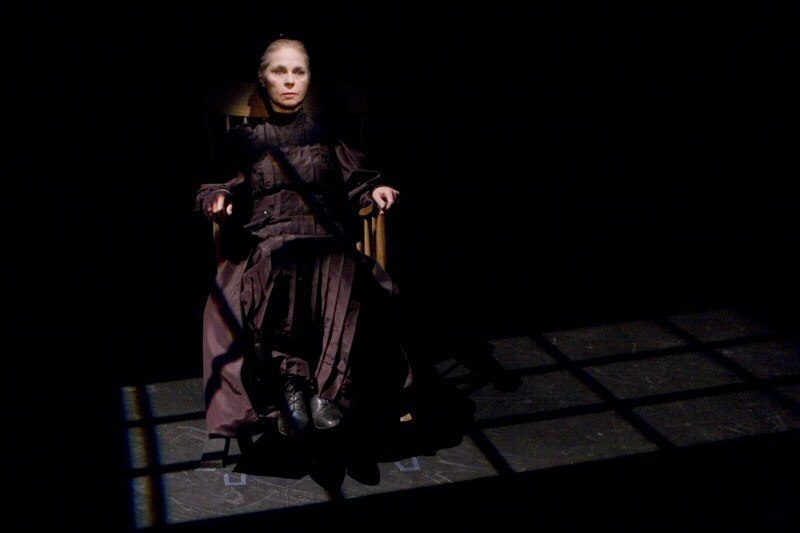 The Beckett Project began in 1995 as a collaboration between UK-based director and actor-trainer, Phillip Zarrilli and American actress, Patricia Boyette. 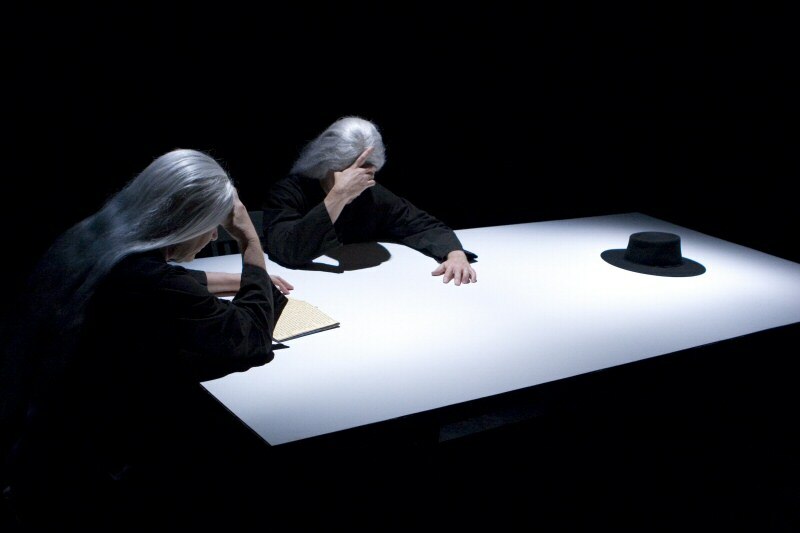 The project applies a psychophysical approach to the unique demands that Beckett’s theatrical minimalism make on the actor’s stamina and awareness by providing intensive training in Asian martial arts and yoga. In addition, Boyette and Zarrilli have regularly consulted with Billie Whitelaw, a close collaborator of Beckett’s throughout his lifetime, and originator of a number of his female roles. The Beckett Project opened at the Grove Theater Center, Los Angeles, in 2000 with Ohio Impromptu, Not I, Act Without Words I, and Rockaby. The evening won critical acclaim, including two major greater Los Angeles area theatre awards. T.H.McCulloh of the L.A. Times said the productions were ‘like faintly recalled dream fragments, the images are subjective…spellbinding…presented with style and fire.’ Paul Hodgins of the Orange County Register described the evening as ‘spare, elliptical…the theatrical equivalent of Japanese Noh theatre…unexpectedly terrifying.’ In 2001 The Beckett Project briefly toured the UK with performances at the Leicester Haymarket, Charter Theatre (Preston), Exeter Phoenix, Cochran Theatre (London), the Beckett Festival (Cork), and Chapter Arts Centre (Cardiff). 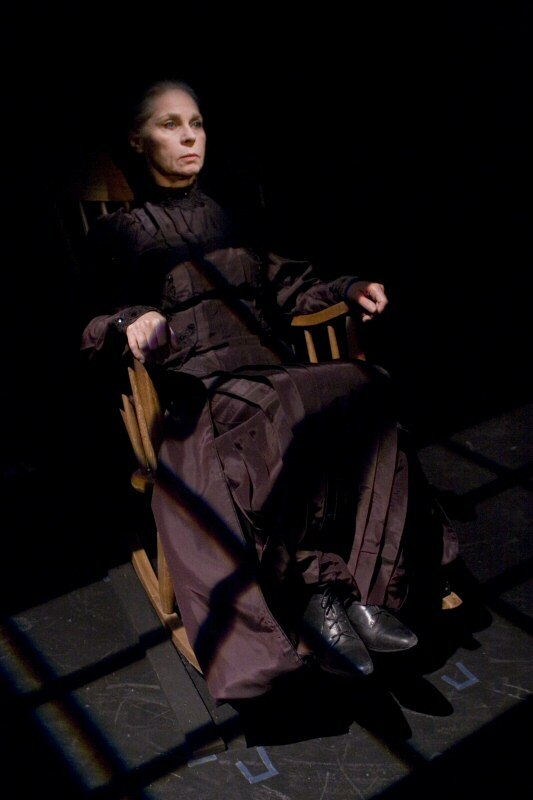 A second major staging of The Beckett Project took place at the Granary Theatre, Cork (Ireland) in 2004. Joining Zarrilli and Boyette in Cork were five Ireland-based actors who underwent an intensive five week training and rehearsal process that culminated in performances of the four original productions, plus three additional plays--Eh Joe, Footfalls and Play. The expanded Beckett Project provided a unique opportunity to see seven of Beckett’s plays organized into two programmes of approximately two hours each. Programme #2 Not I, Footfalls, Act Without Words I, and Rockaby. 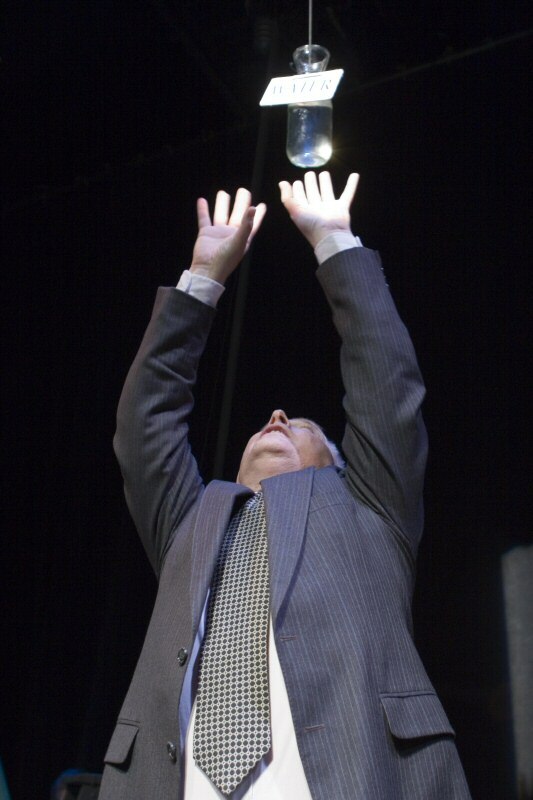 In 2006 the original programme of four plays was performed in the United States, again to critical acclaim. A DVD-video with selected excerpts of ROCKABY, NOT I, ACT WITHOUT WORDS I, and OHIO IMPROMPTU is available on request. As part of this research, Zarrilli organised the symposium 'Beckett in Performance' at the Malta Arts Festival in 2012. Phillip Zarrilli is internationally known for training actors through Asian martial arts and yoga, and as a director. He is especially noted for his work on Beckett. In 1999 he moved to the UK where he established The Llanarth Group and a private studio (Tyn-y-parc CVN Kalari/Studio) in Wales. The Llanarth Group brings together international artistic collaborators all of whom have worked with Zarrilli in training through psychophysical process. The Beckett Project is one example of this international work. Zarrilli has taught workshops throughout the world for Gardzienice Theatre Association (Poland), the National Theatre of Greece, Passe Partout (Netherlands), Seoul International Theatre Festival, International Workshop Festival (London), Centre for Performance Research (Wales), the Korean National Academy of the Arts (Seoul), the National School of Drama (New Delhi), TTRP (Singapore), Tainan Jen Theatre Company (Taiwan), the Centre of Studies on Jerzy Grotowski (Wroclaw, Poland), Esalen Institute (USA), among many others. 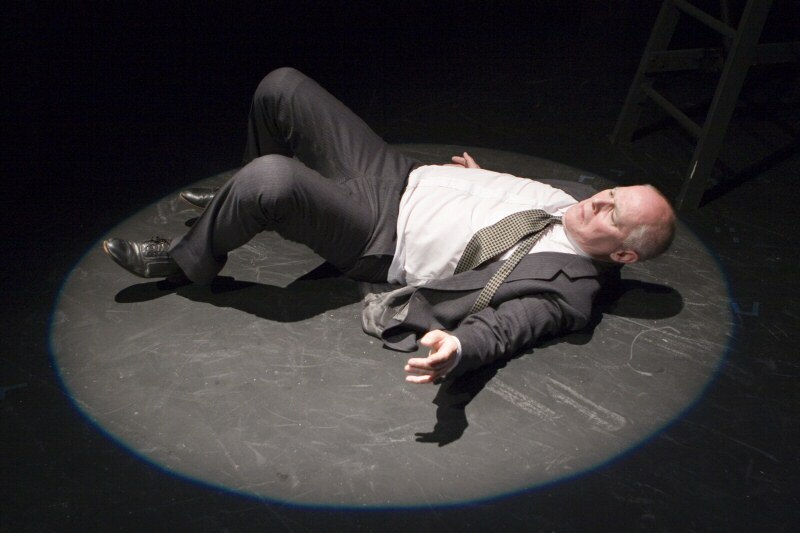 Other recent directing includes: Speaking Stones (text by Kaite O’Reilly) with Theatre Asou (Graz, Austria, 2002; English premiere: Grotowski Centre, Wroclaw, Poland, 2003); The Dance of the Drunkun Monks with Sangalpam Dance Company, U.K. (all-UK tour included the Purcell Room, Queen Elizabeth Hall, 2003); Walking Naked with Gitanjali Kolanad (2000-present: has toured internationally including India, Korea, USA, Canada, UK); Ota Shogo’s The Water Station for TTRP at The Esplinade, Singapore (September, 2004); and The Maids (Die Zoffen) with Theatre Asou in Austria (September, 2005); The Flowering Tree with Gitanjali Kolanad (October, 2006, USA). Zarrilli’s books on acting include (editor) Acting Reconsidered (2nd edition, Routledge: 2002), and (editor) Asian Martial Arts in Actor Training (Madison, 1993). He is currently writing a new book/DVD-Rom on his approach to acting through psychophysical process: The Psychophysical Actor at Work: a post-Stanislavskian Approach’ (Routledge, forthcoming). Patricia Boyette has played major roles on stages throughout the United States including the American Conservatory Theatre, The California Actors Theatre, The Magic Theatre, the Eureka Theatre and the Michigan Ensemble Theatre, among many others. Patricia worked with Tennessee Williams, being personally cast in the West Coast premiere of his Two Character Play and as Laura in The Glass Menagerie. She has performed extensively at the Grove Theatre, Center, Los Angeles, and won critical acclaim for her recent performance of Sally Talley in Talley’s Folly. Other recent roles include Gertrude in Hamlet and Elvira Condornine in Blithe Spirit. She won critical praise from the Los Angeles press, and Orange County’s ‘best actress’ award for her performances of Not I and Rockaby. Her most recent performance was as Home Body in Tony Kushner’s Home Body Kabul. In addition to continuing her acting career, Patricia is Head of Acting at the University of Wisconsin-Madison.